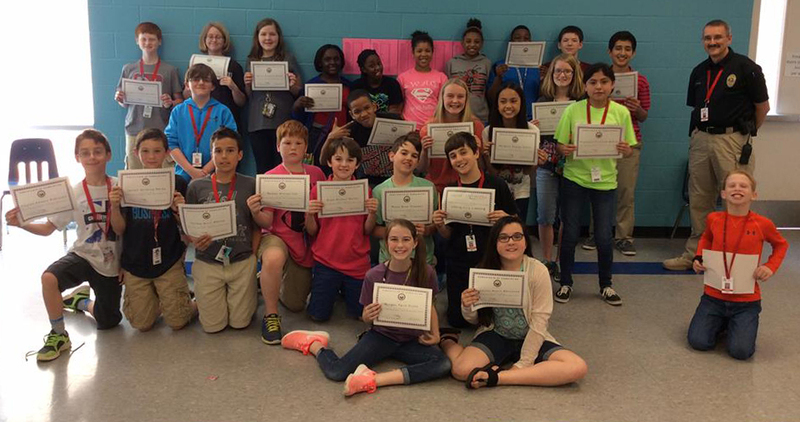 At Maumelle Middle School, sixth-grade students graduated recently from the Smart Choices Better Chances Program. The once-a-week, year-long program is taught by Student Resource Officers Stuart Bragg and Chris Stroud from the Maumelle Police Department, as well as Captain Mike Wilson. Students learn important lessons from the officers, including the laws that pertain specifically to juveniles. The officers teach classes on fighting, drug use and the penalties for bullying and its effects on students. The highest achieving class has earned a pizza party sponsored by the SROs. The partnership with the Maumelle Police Department is invaluable to our city, its schools and students.